It’s 2218 and Zee McAdams is in her second year as a healing empath at a busy London Hospital. When a mysterious young man becomes her patient, Zee’s hard-won calm is pierced. Her attraction is complicated by the fact that David Sutton is an alien, a groups whose presence- and purpose- on earth is deeply mistrusted. When London and other cities experience a wave of anarchist attacks, Zee and David are brought even closer together. The more time Zee spends with David, the more she likes him- and the more questions she has. Even as their relationship deepens, Zee knows that David is still hiding something from her. In this futuristic novel, we are shown that sometimes things don’t work out the way we want it to work. Despite that the people we love can sometimes lie to us the most. 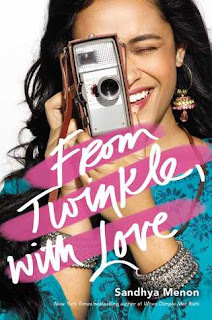 This novel can be seen as a typical love story that has been written with its peak at the end of the book. It leaves you wondering, “How far does Zee go to keep David in her life.” And we have these constant questions, assumptions and several other thoughts swirling around in our mind. The thoughts of Aliens has plagued Zee’s family since the mention of the possibility of them arriving. Zee’s father, through out the novel, us shown to be obsessed with the thought of what the aliens might bring to the Earth which has not advanced by much. The author, Susan Waggoner, was born in Iowa and received her degrees in University of Iowa but writes her novels in New York. 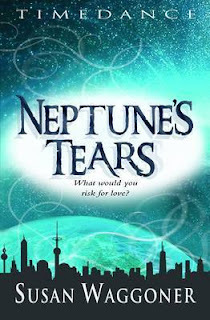 Neptune’s Tears has a sequel called; Starlights Edge. The first book was released in June 2012 and the second book was realized in August 2013. Susan Waggoner has written several other books. It was published by Piccadilly Press Ltd. In 2012. Zee is an intern at a London hospital. Her job is to help ease pain and help with the healing process. David is perceived as an alien from Omura, a distant planet from earth. The aliens, however, are human look-a-likes but maybe just a little bit taller. They use the excuse of studying Earth’s art and culture. David seems to retreat into himself every time they take a step forward in their relationship. Zee would sacrifice everything for David, but will he be ale to do the same? Will he be able to go against Omura? Will he do every thing he can in the name of true love. The anarchist attacks are controlled and impossible to predict… until Zee is able see them in a series of flashes or dreams. The attacks are executed with sonic bombs that cause some serious internal injuries for those affected. The story develops several of the characters who have a relationship with Zee but the characters however do not jump out and make me want to see them. I enjoyed the book but didn’t love the way I thought I would. There was no underlining passion from the characters other than the passion found between Zee and David. The characters had no motivation to strive to be better at what they do. The ending was perfect but is sacrificing a wonderful and witty supporting character really worth bring on the sequel. I are we given enough action and clues to want to the read the second book? Can the time given to Zee help come to terms with this massive revealing juts three pages from the end? Was there enough suspense to want the reader to read the second book? Is Zee’s ultimate reaction realistic? I’m not trying to name and shame the author. It was a good book. The content at certain points made every moment reading the book worth it. But was the first book enough to convince me that the second one is worth reading?